HELLO LADIES & GENTS! 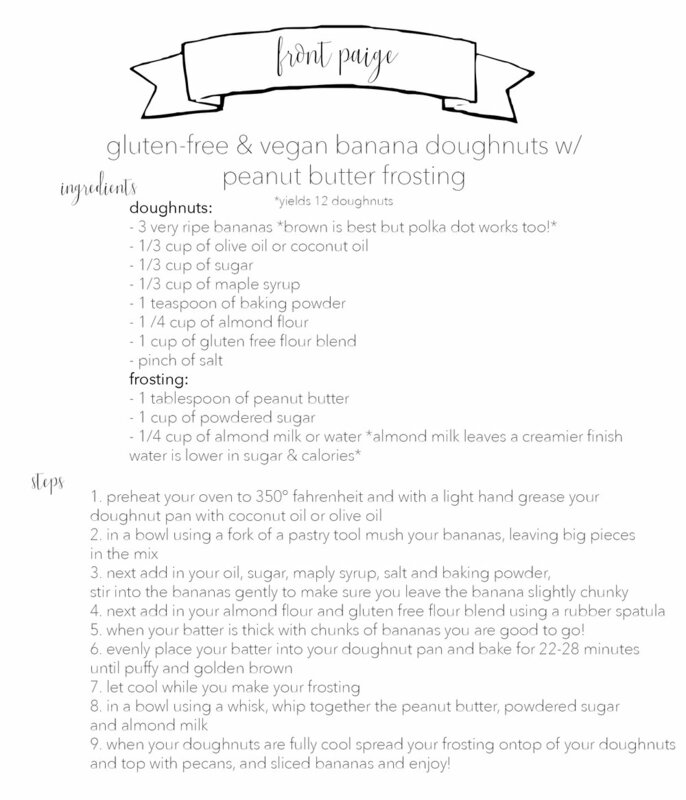 I have for you the holy grail of deliciousness and heaven right here in doughnut form! So what flavor can really beat the classic banana and peanut butter? Nothing really, so I turned it into a doughnut. Ya thats right a sweet & salty creation that is perfect for breakfast, lunch, dinner and all the snacks in between! Try these out and you will love me forever! I am a photographer currently located in Bozeman Montana. With a passion for analog photography and great inspiration from the surrounding areas! Front Paige is a gluten-free & vegan baking blog. A mix of healthy & sinful recipes ready to be made and you'll never know they are vegan & gluten free! Hi! I'm Paige! I am a gluten-free & vegan baker who also loves to take photographs & videos to document my days & nights in the kitchen! Follow along my journey as I find solace in gluten-free baking and show you guys how to eat amazing foods that tailor to allergies!